In 1980, IBM approached Microsoft to write the BASIC interpreter for its upcoming personal computer, the IBM PC. When IBM's representatives mentioned that they needed an operating system, Gates referred them to Digital Research (DRI), makers of the widely used CP/M operating system. IBM's discussions with Digital Research went poorly, and they did not reach a licensing agreement. 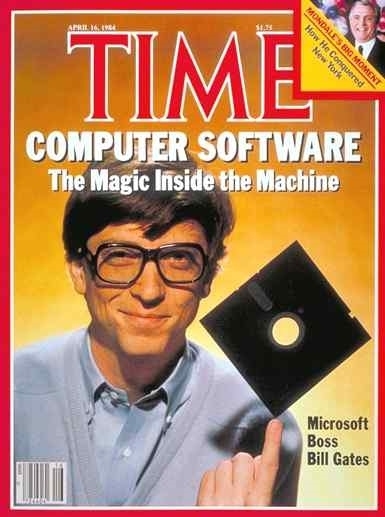 IBM representative Jack Sams mentioned the licensing difficulties during a subsequent meeting with Gates and told him to get an acceptable operating system. A few weeks later Gates proposed using 86-DOS (QDOS), an operating system similar to CP/M that Tim Paterson of Seattle Computer Products (SCP) had made for hardware similar to the PC. Microsoft made a deal with SCP to become the exclusive licensing agent, and later the full owner, of 86-DOS. After adapting the operating system for the PC, Microsoft delivered it to IBM as PC-DOS in exchange for a one-time fee of $50,000. Gates did not offer to transfer the copyright on the operating system, because he believed that other hardware vendors would clone IBM's system. They did, and the sales of MS-DOS made Microsoft a major player in the industry. At the time, Don Estridge and his team considered using the IBM 801 processor (an early RISC CPU) and its operating system that had been developed at the Thomas J. Watson Research Center in Yorktown Heights, New York. The 801 was at least an order of magnitude more powerful than the Intel 8088, and the operating system many years more advanced than the DOS operating system from Microsoft[original research? ], that was finally selected. Ruling out an in-house solution made the team’s job much easier and may have avoided a delay in the schedule, but the ultimate consequences of this decision for IBM were far-reaching. IBM had recently developed the Datamaster business microcomputer which used an Intel processor and peripheral ICs; familiarity with these chips and the availability of the Intel 8088 processor was a deciding factor in the choice of processor for the new product. Even the 62-pin expansion bus slots were designed to be similar to the Datamaster slots. Delays due to in-house development of the Datamaster software also influenced the design team to a fast track development process for the PC, with publicly available technical information to encourage third-party developers.